David Wrathall investigates climate extremes and human migration with Flowminder and United Nations University. Xin Lu is co-founder and chief analyst at Flowminder. His research focuses on using mobile phone data to analyse human movement during natural disasters. As climate change impacts unfold over the course of the coming century, they are expected to affect people’s ability to live and work in specific places, especially for people whose livelihoods are directly dependent upon stable environmental conditions, like farmers and fishermen. When this happens, it is expected that people will permanently move to safer, less vulnerable places. If we are to understand and respond to the challenge, we need more accurate, cheaper and faster information about how people move right now around the types of climate stresses we anticipate for the future. This will enable us to learn about and better prepare for future climate change impacts. One incredible source of data that can dramatically improve our ability to measure and understand how people move around climate stresses is the usage data generated by mobile networks’ customers. Very large sets of anonymized mobile network data provide a detailed timeline of where people move before, during and after climate stresses. 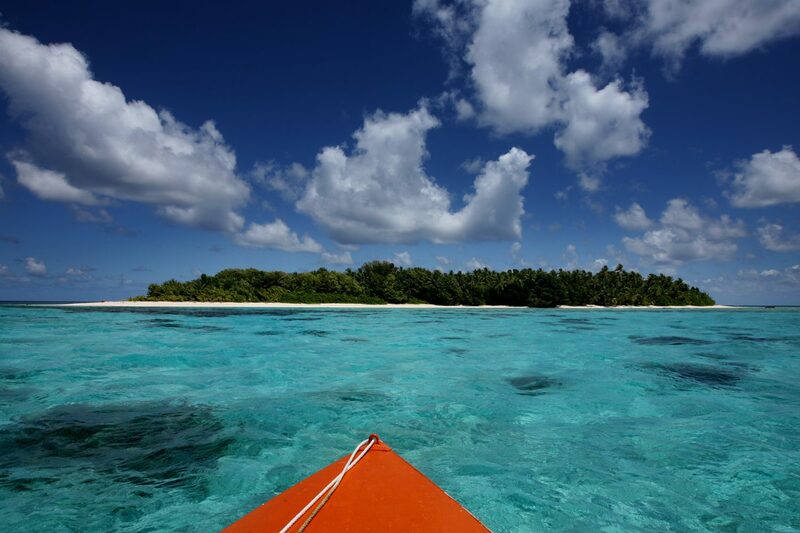 A perfect setting to investigate climate vulnerability, climate impacts, and migration responses is Bangladesh, a commonly referenced climate hotspot – very close to sea level, frequent tropical storms, and very high population density. One incredible source of data that can dramatically improve our ability to measure and understand how people move around climate stresses is the usage data generated by mobile networks’ customers. Chittagong Railways Station. 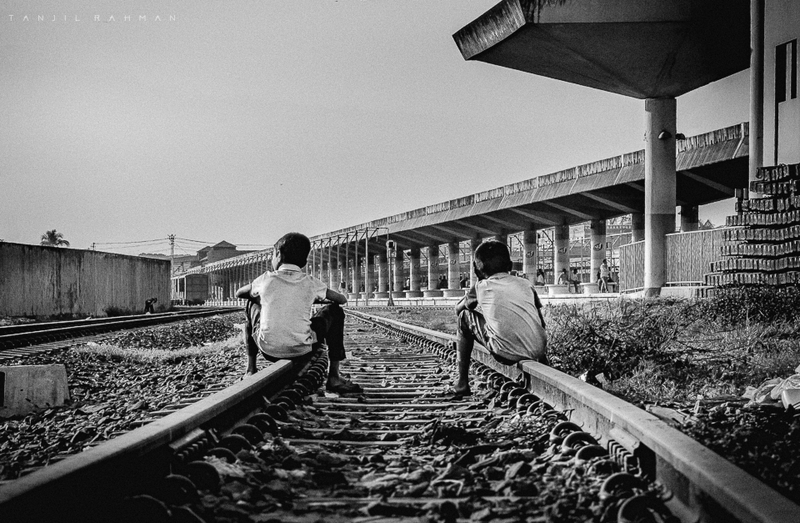 Two young children sit on the tracks. 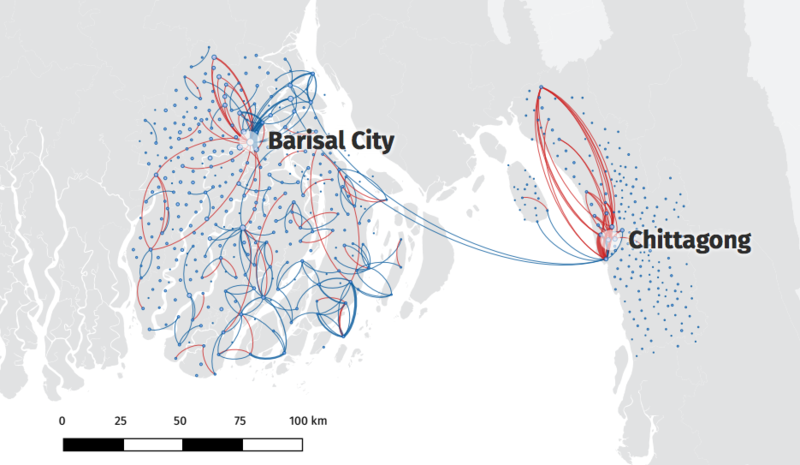 We have just published the first two scientific studies on mobility around a climate impact using mobile network data from the Grameenphone network in the extreme south of Bangladesh. We investigated short and long term mobility patterns of 6 million users’ anonymized data before and after Cyclone Mahasen, which struck southern Bangladesh in 2013. Mobile network data allowed us to learn a lot about the timing, direction, duration and number of migrations around Cyclone Mahasen – and how these different aspects of migration were interrelated. We were surprised by the results. First and most surprisingly, contrary to expectations, there were no apparent signs of displacement around the cyclone. 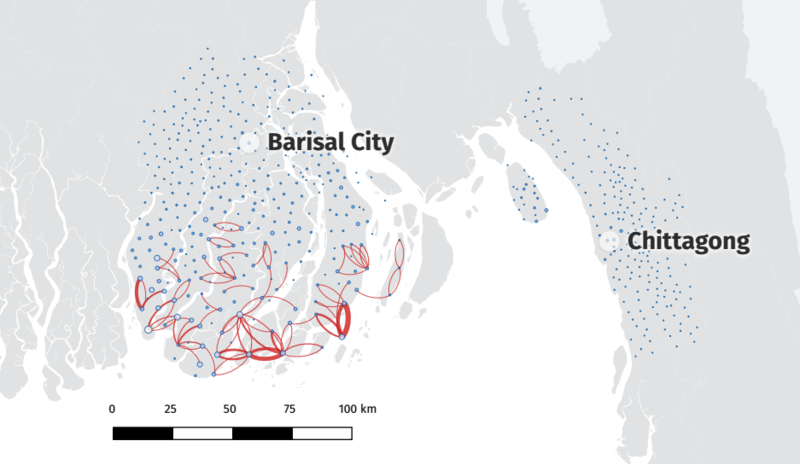 We anticipated identifying displaced populations, where they were displaced and where they were moving, and initially we did notice a dramatic rise in phones arriving in Bangladesh’s second largest city that followed shortly after the cyclone’s landfall. About 50,000 phones arrived in Chittagong city within six weeks of the cyclone, probably representing at least 150,000 additional people. This dramatic rise in the population was very curious, however when we compared mobility patterns in Bangladesh in 2012 (when no cyclone struck) to patterns in 2013 (the year the cyclone struck), we found that migration patterns were almost indistinguishable from year to year. 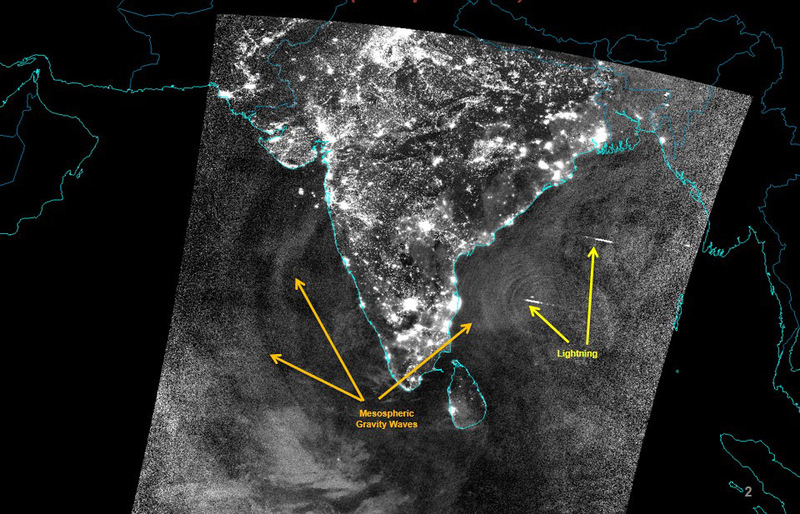 It turns out that Cyclone Mahasen’s landfall coincided perfectly with the typical onset of the Monsoon Season – in the month of May. The migration flows to Chittagong after Mahasen almost perfectly matched the migration flows that coincide with the Monsoon from the previous year. Seasonal migration is very common in Bangladesh. These results mean that it is very unlikely that Cyclone Mahasen caused all of those people to move to Chittagong. In fact, we took a closer look at the three most cyclone-affected districts, and found that they were virtually identical comparing 2012 and 2013. In fact, the only notable difference was actually a slight drop in monthly flows from the cyclone-impacted districts to the major cities of Chittagong and Dhaka. This finding runs counter to the expectation that the cyclone would increase migration to the cities. It is consistent with other recent reports showing that people who experience natural disasters are often less economically able to migrate, or are needed in post-disaster areas for reconstruction. The analysis highlights the importance of only cautiously attributing any short-term changes in population to climate change impacts. Our analysis shows how mobile network data allow us to make a very good, comparable timeline of migration flows from year to year. Annual migration flows could be important to monitor as climate change impacts begin to manifest. Sharp increases or decreases might indicate problems. About 50,000 phones arrived in Chittagong city within six weeks of the cyclone, probably representing at least 150,000 additional people. The Barisal Division to the extreme south of Bangladesh has experienced some of the most costly disasters in human history. As many as 500,000 people perished in Bhola Cyclone of 1970. Recent cyclones have not resulted in large losses of life, mainly because of the very good forecasting and early warning systems that Bangladesh has worked to develop. In the second week of May 2013, as Cyclone Mahasen began to form in the Bay of Bengal, early forecasts indicated that it would likely make landfall over Chittagong. The government issued evacuation orders, and the day before Mahasen’s landfall, we observed very unusual patterns of mobility in Chittagong – apparently people followed orders to evacuate to safety. At the time of Mahasen’s landfall, mobility in Chittagong returned to normal levels. Yet at the last minute, in the early hours of 15 May, Cyclone Mahasen veered north, and made landfall into the vulnerable Barisal Division. During landfall, we observed widespread movements above normal along the coast and at ferry crossings. This means that people were on the move even after the early warnings indicated they should have been in shelters and other safe places. Fortunately Cyclone Mahasen was a relatively weak storm, and the storm surge coincided with low tide. Otherwise, many of these people moving around during the storm could have been in serious danger. Early warning systems are a critical tool for saving lives and building resilience to disaster impacts, and these findings show how mobile network data can be used to evaluate early warning systems, indicating exactly where they are working well, and where people are still evacuating too late. at the last minute, in the early hours of 15 May, Cyclone Mahasen veered north, and made landfall into the vulnerable Barisal Division. During landfall, we observed widespread movements above normal along the coast and at ferry crossings. Observed from the annual flows, another finding was the relationship between rates of migration and the duration of migrations. In general, an area that had higher numbers of migrants also had migrants that stayed away from home for longer periods of time. This is perfectly consistent with the picture of Bangladesh as a rapidly urbanizing country, with an increasing number of urban jobs in the garment sector, construction and transportation. Over time, this type of information could be very useful for determining the velocity of urbanization. As climate change impacts unfold, it will be important to monitor how quickly urbanization occurs, so that numbers of vulnerable people do not outpace opportunities for decent employment. An area that produces a greater number of migrants will also produce longer-lasting migrations. However there were a number of exceptions to this rule. If, for example, a group of people from the same village decided to permanently relocate to the city at the same time, or if a number of people moved home from the city at the same time, it would have violated this rule. Catastrophic flooding and displacement, or problems finding a decent job in the city are possible explanations for these exceptions. While we cannot make any assumptions, mobile network data provide a key indicator to watch on the velocity of urbanization. Accelerating rates that coincide with climate change impacts could indicate trouble areas. 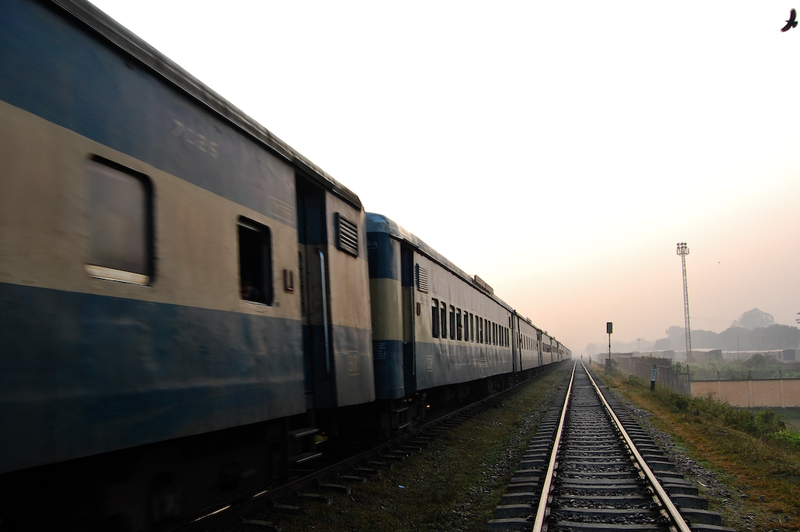 A train aproaches Chittagong Railway Station. “During landfall, we observed widespread movements above normal along the coast and at ferry crossings. This means that people were on the move even after the early warnings indicated they should have been in shelters and other safe places. When out-migration increases, in-migration decreases. Another interesting pattern that we detected in the long-term mobility flows was the negative relationship between in-migration rates and out-migration rates to any given area. In other words, when there are high numbers of people moving out of an area, there will also be low numbers of people moving in. The opposite is also true – if high numbers of people are moving into an area, low numbers will be moving out. Again, this is another way of understanding the general trend of urbanization in Bangladesh: people are moving to cities. The likeliest explanation for increasing out-migration and decreasing in-migration is that there are fewer job opportunities or lower wages in rural areas, and more or better job opportunities in the cities. One possible reason for fewer jobs and lower wages could be flooding impacts, droughts or other forms of environmental deterioration that affect farming and fishing. In these cases, urban migration would indicate that people were migrating to adapt to environmental stress. However the same tendency might also exist simply because it is more difficult to make a living as a small farmer in an increasingly globalized economy. Regardless of the explanation, the relationship between high out-migration and low in-migration was not extremely strong. In many areas, out-migration coincided with increasing, decreasing or stable rates of in-migration. These results are an important reminder that when an area experiences increasing out-migration around a cyclone impact, one may only cautiously assume that the area is experiencing an overall net loss of population. In the case of Hurricane Katrina, for example, even though many people left New Orleans after the hurricane, at the same time, large numbers of people moved into the city pursuing reconstruction jobs, and to gentrify abandoned neighborhoods. After natural disasters, if large flows of out-migration are observed from an area, then it is advisable to assess changes in in-migration rates too. A partial view of migration flows around a climate-related disaster may distort a proper understanding of how it really affected people. So far, Bangladesh does not seem to be losing ground to climate change, and mobile operator data can play a key role in monitoring these trends.